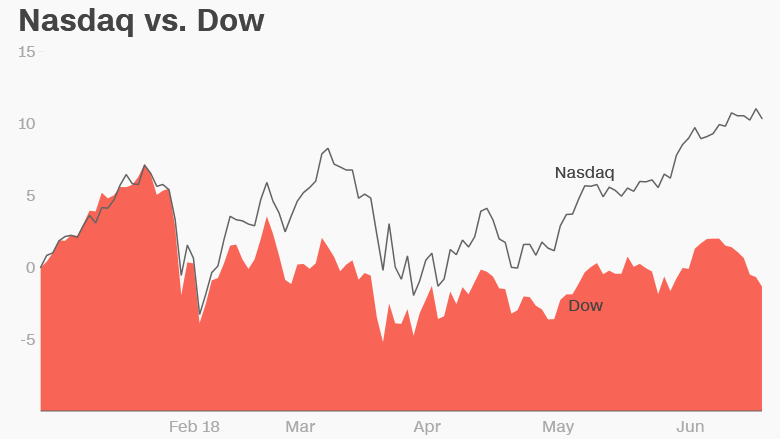 Investors continue their infatuation with big tech stocks despite worries about the US and China slapping tariffs on each other. All four of the so-called FANG stocks hit record highs on Wednesday. So did the Nasdaq, which is up 12% this year. The Dow is down 1%. Netflix (NFLX), Amazon (AMZN), Facebook (FB) and Google parent Alphabet (GOOGL) slipped a bit Thursday along with the broader market, but the losses were relatively modest. These four stocks have all surged this year on a general sense that they won't be hurt as much (or at all) by any trade tiffs between the US and China. Or the US and Europe. And Canada. And Mexico. 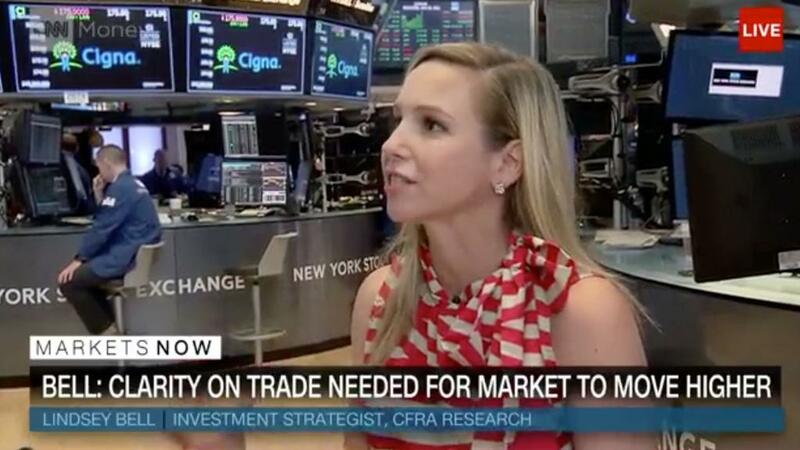 The bigger picture trends mitigate any worries about a global trade war. People are going to keep streaming shows and movies, buy and search for stuff online, and post photos and videos to social networks. At least that's the bet by investors. In fact, other tech stocks are holding up extremely well during this bout of market volatility -- including two big Chinese tech companies that are part of a broader FANG index recently developed by the NYSE. The NYSE's FANG + index, which includes Chinese e-commerce giant Alibaba (BABA) and search leader Baidu (BIDU) as well as the four FANG stocks, is up 35% this year. The index has 10 companies overall. Apple (AAPL), chip giant Nvidia (NVDA), Elon Musk's Tesla (TSLA) and Twitter (TWTR) are the four others. All 10 companies have been big market winners this year. So the challenge will be for them to live up to the hype when they report their latest quarterly results in the next few weeks. First up: Netflix on July 16. Investors will need to get their popcorn ready for those earnings ... and all the others coming shortly thereafter.